Pastor Joanna Benally maintains the illusion of confidence and contentment, but inside she’s lonely and unfulfilled. She lives in self-imposed isolation, pushing others away to hide the dark secrets of her past. 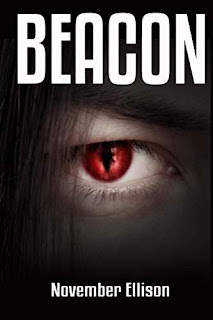 When she meets a man who claims to be Cain, the Bible’s first murderer, Jo’s carefully constructed defenses begin to crumble, and she’s shocked to discover she’s a “beacon,” a genetically marked vessel for the electromagnetic power that enables vampires to feed on humans. Soon, she’s discovering evil where she never believed it lurked, acting in ways she never would have imagined, and finding love in the most unlikely of places. But after an unexpected betrayal nearly claims Jo’s life, even prayer can’t alleviate the burning questions that will ultimately define her future. Are vampires a part of God’s created order, and if so, what makes a vampire? What path will Jo choose?